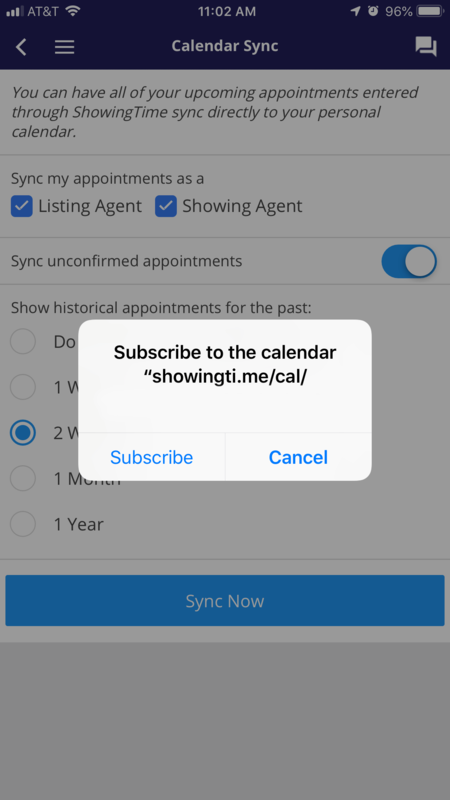 With ShowingTime's Calendar Sync feature you can have all of your upcoming appointments synced directly to your personal calendar which can be accessed through your preferred calendar application or on your mobile device. 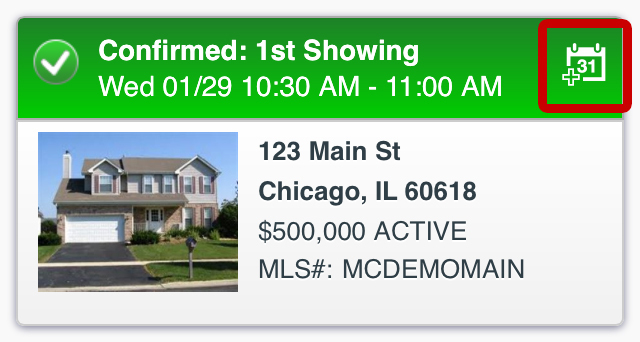 Only when an appointment has been confirmed will you be presented the option to add the appointment to your calendar. After clicking on the Add to Calendar button, your phone will download a .ics file. This file will open automatically and you will then see the Event Details which can be added by scrolling to the bottom of the page and tapping on Add To Calendar. After clicking on the Add to Calendar button, your phone will download a .ics file. This file will have to be opened by selecting it from the Notifications Area. 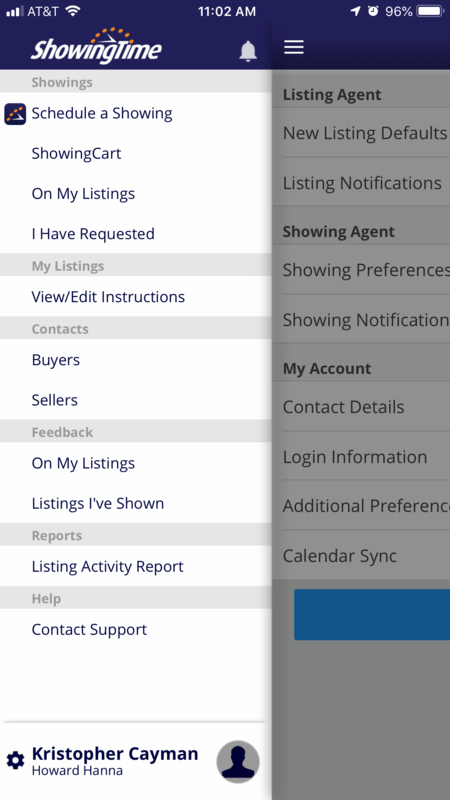 In your Profile section select Calendar Sync. You will be presented with the window pictured to the left. 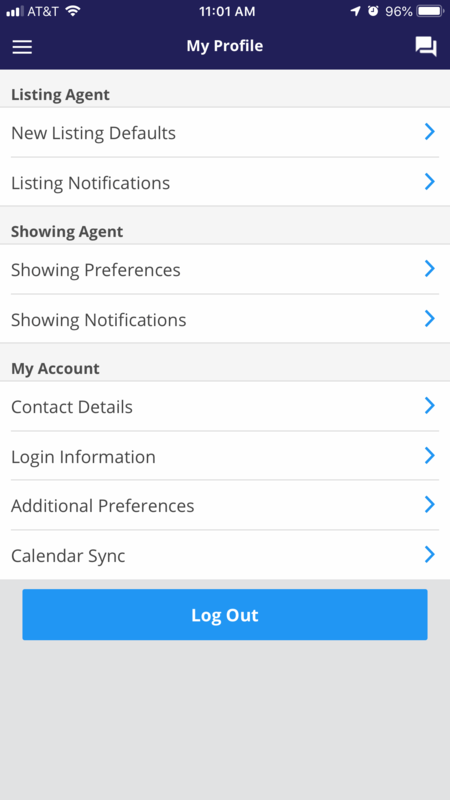 Select your desired options and click on the Sync Now button. Apple users will automatically have their calendars synced after taping the Sync Now button. Calendar Sync functionality is not currently supported for Android devices due to limitations in the Android OS. 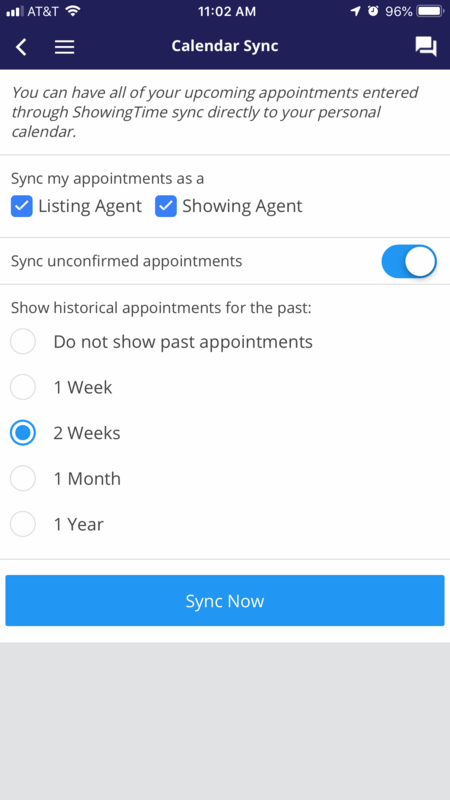 In order to sync your ShowingTime Appointments with your Google Calendar, or any other 3rd party calendar application, you will need to use your computer to set up the initial calendar sync. 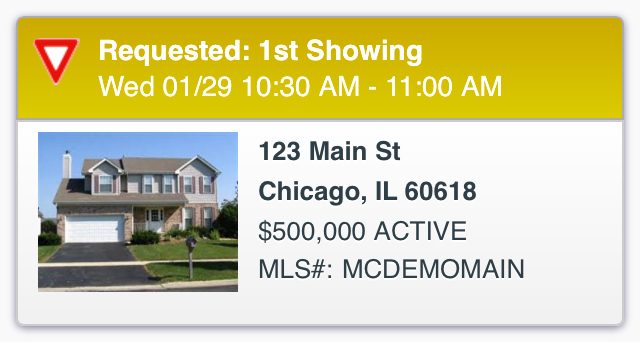 Once this has been completed your appointments will then show up on your mobile device. Note: Due to the nature of the .ics & webcal calendar feeds feature sending data to a third party program, there is only a limited amount of troubleshooting support we can provide.